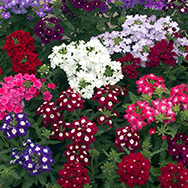 The Diamond F1 series is the first and unique series of a truly cascading petunia grandiflora grown from seed in the world assortments. 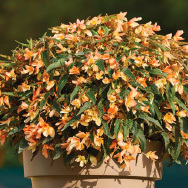 These resistant, well-branched plants grow luxuriantly and create an impressive 80–100 cm cascade. The varieties are rich in blossoms, the size of which is 7.5–10 cm. 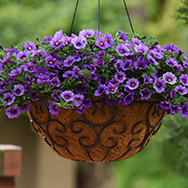 They are intended for planting in raised flower containers, window boxes and big hanging baskets, which can show their overhanging character to good advantage. They can also be used for bed planting. The plants have a creeping growth habit. They grow together in a short period of time, creating a colourful carpet about 20–25 cm high. 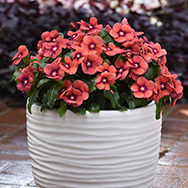 Like all luxuriantly growing petunias they are more demanding on nutrients.